Some of the world’s best Club DJs will be coming together under one roof at Groove City on Saturday, August 18 in an event that will push the envelope of the local House music scene. Special Guest, DJ Spen from the Basement Boys, will be a special treat to many fans of the music genre, and so will Wil Robinson, Pat Blaze, Chico Jones, and Tomoko and Iori. Based on the DJ lineup alone, this is looking to be a great House event, so throw on your most comfortable dancing shoes and favorite clubbing outfit and get ready for a great night of music and socializing with friends. 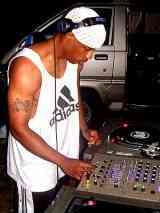 DJ Spen began his music career at the age of 14 by producing radio edits and supermixes for WEBB AM in Baltimore, and it was at this time that he founded the regions first hip hop mix productions group, Numarx, who’s popularity carried them into performing with national acts such as LL Cool J, Run-D.M.C., and Eric B & Rakim. Shortly after, in 1986, the group recorded its first full length LP, “It’s Our Time” on Studio Records, an album featuring the hit record “Girl You Know It’s True” which was later covered by Milli Vanilli. Spen went on to become an on-air personality and mix show director for WEBB, and upon graduating from college secured a job as late night personality for Majic 95.9 FM. This job landed him a late night hip-hop / house show on Friday nights, and the Flashback Saturday Night Dance Party for the station. Later, Spen became Mix Show Director for the company when it acquired two new stations in the Washington D.C. area. While Spen’s radio career was constantly changing and evolving, he also worked with the Basement Boys as a songwriter, drum programmer, and pre-production assistant. He has been involved with the group since 1989, and his influence on early projects is distinct. 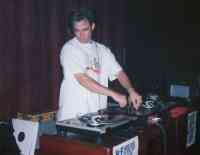 With the start of Basement Boys Records in 1994, Spen founded the Jasper Street Company and released his first full production, “A Feelin’.” Later, with partner Josane, Spen completed the full length LP, “In a Spensane World.” Today, Spen is a full time remixer / producer for Basement Boys Productions, a nationwide mix show DJ for the Superadio Network, and a club DJ making appearances around the world. It will indeed be a treat to hear him spin for us at House Survival, along with the other talented House DJs who will be making appearances throughout the night. For great music and great times, don’t pass up this excellent opportunity to see some of the world’s best DJs at one of Okinawa’s top venues. When: Saturday, August 18, 9 p.m. – 4 a.m.